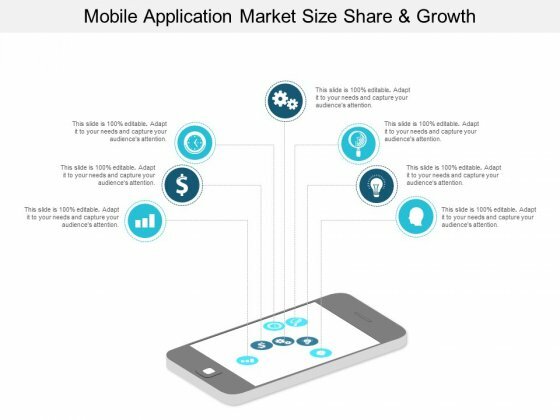 This is a mobile application market size share and growth ppt powerpoint presentation outline rules. This is a seven stage process. The stages in this process are mobile analytics, mobile tracking, mobile web analytics. The feasibility of your concept comes across clearly due to our Mobile Application Market Size Share And Growth Ppt PowerPoint Presentation Outline Rules. You will get the loan approved. This is a business improvement career guidance ppt powerpoint presentation show maker. This is a seven stage process. The stages in this process are business, improvement, career, guidance. 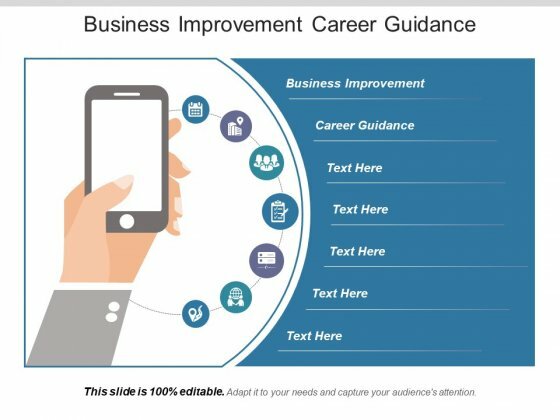 Compliment folks at lower levels with our Business Improvement Career Guidance Ppt PowerPoint Presentation Show Maker.Duly appreciate their important contribution. 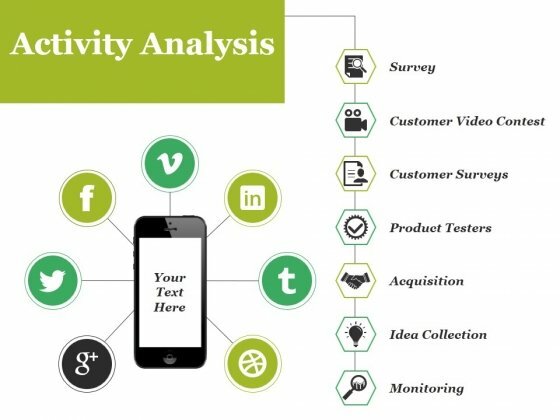 This is a activity analysis ppt powerpoint presentation file design inspiration. This is a seven stage process. The stages in this process are survey, customer surveys, product testers, acquisition, idea collection. Go from low to high with our Activity Analysis Ppt PowerPoint Presentation File Design Inspiration. Continue to climb despite conditions. 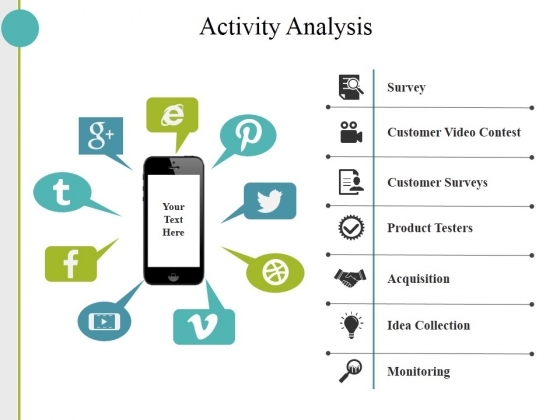 This is a activity analysis ppt powerpoint presentation inspiration graphics pictures. This is a seven stage process. The stages in this process are survey, customer video contest, customer surveys, product testers, acquisition, idea collection, monitoring. You've found a treasure for presentations. Get goingwith our Activity Analysis Ppt PowerPoint Presentation Inspiration Graphics Pictures. You'll deliver your best presentation yet. This is a leverage buyout model sample diagram example ppt presentation. This is a seven stage process. The stages in this process are private equity, high yield mezzanine debit, private equity fund, bank debt senior credit facility, selling share holders, target company, exiting leaders and bond holders. Achieve any feat you desire to. 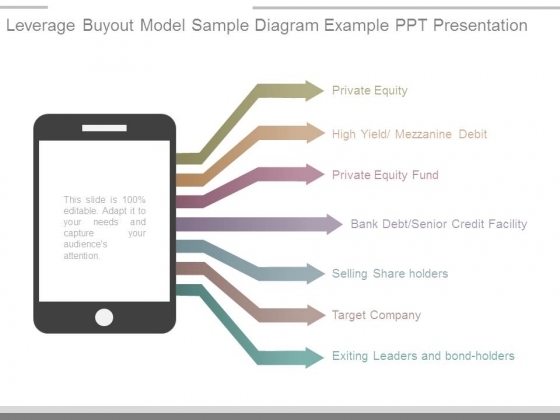 Our Leverage Buyout Model Sample Diagram Example Ppt Presentation are extremely facilitating.